Includes shipping and insurance U.S. In case you hadn't noticed, there are a lot of us folks out here enjoying a self-sufficient lifestyle - raising our own vegetables and meat. And many of us have even ventured into keeping a family milk cow. 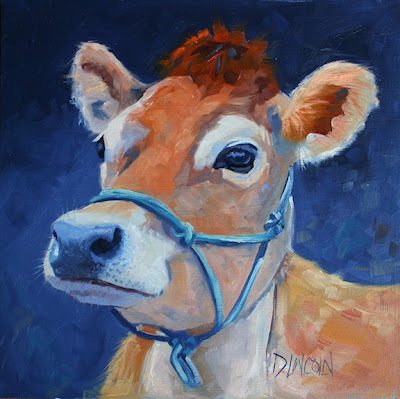 The Jersey breed enjoys great popularity - I have a Jersey cross myself - but they can be a problem if you don't have a need for 5 to 10 gallons of milk a day! I feed "extra" milk to my dogs and chickens, but they can only eat so much. 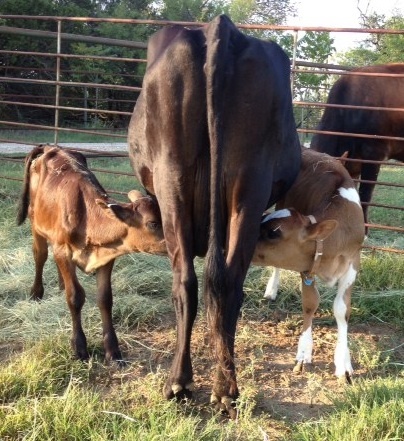 The perfect solution for us is to let Aunt Abbey raise extra calves. It takes a while, though, for the calves to get big enough to consume all she is producing. So I have been giving away milk (up to three gallons a day) to friends and family. Today, however, I am grateful to announce that both calves are happily chugging down all of Abbey's bounty and we are no longer milking twice a day. 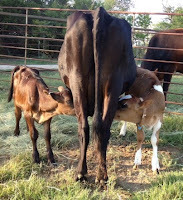 Now I only get enough for our family - every 3 days or so - and the calves take care of the milk the rest of the time. A perfect compromise.